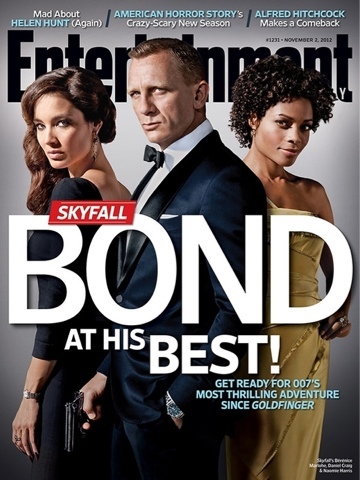 WillingToBeLucky.net: Entertainment Weekly celebrates 'SKYFALL'! Check out the GORGEOUS cover of this weeks EW! I always love the EW covers (which is why I'm so glad I subscribe) and this one is fabulous! With the release of Skyfall in the UK this Friday and the US Premiere next week, Skyfall fever has hit! Be sure to go out and grab your copy tomorrow when it hits shelves!